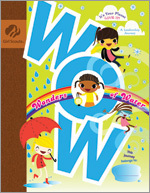 Stories are all around us – in movies, in books, in television shows, advertisements, on the news and even on cereal boxes. Stories inspire. Stories motivate. 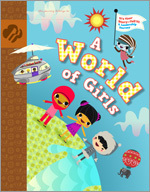 Stories spark imagination and help girls learn about themselves and the world. 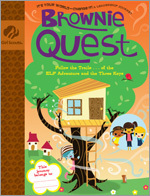 A World of Girls helps engage Brownies in this wider world or stories in a way that gets them looking for clues to help make the world a better place. With some help from Brownie Elf along the way, girls see how they can create positive change in the world—change that affects girls.